Hello to a new venue! As some of you may know, our location at PLANT NOMA was recently earmarked for redevelopment, leaving MadFabLab in search of a new home. 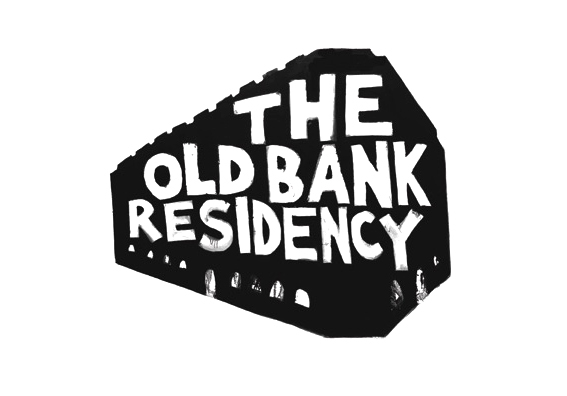 With our tenancy coming to an end, and an amazing new venue secured, we packed up shop and headed around the corner from PLANT to The Old Bank Residency, 2 Hanover Street, M4 4BB. We’re now ready to open our doors to existing members, and on the hunt for new ones - so spread the word! There are still a few tweaks to make here and there, but all of our machinery (3D printers, laser cutter, vinyl cutter) and hand tools are fully operational in the new workshop space. Opening hours are Wednesday to Friday 9am until 5pm, and anything outside of this can be arranged with the team. We’ll be looking to expand these hours in the new year, so keep a look out for an announcement. We’ve just announced our Making it Digital programme – a series of free digital fabrication workshops and courses designed to equip unemployed and underemployed women with skills to kickstart careers, launch businesses and open up new job opportunities in technology and beyond! The sessions will cover a series of introductory, digital making activities; from operating, designing and producing prototypes with 3D printing and laser cutting, to learning the nuts and bolts of coding with BBC micro:bits. You can find detailed information about all of the workshops and seminars in the series on the dates page. Applications are now open, places are limited, with priority awarded to those who will benefit most. If you would like to attend our seminars and/or workshops, please fill in our application form. This beginner-friendly workshop offers an introduction to physical programming with the micro:bit – a small programmable computer with more than 10 adaptable physical features. To read more about the classes and apply for a place on the programme, please head to the Making it Digital website. You talked, we listened, and we’re happy to announce that we are now officially EXTENDING OUR OPENING HOURS!! From this day forth, members will have access to the MadFabLab from 9am - midnight on weekdays and from 11am - midnight over the weekend. We’ve got different membership types available to suit your needs – our most popular is the monthly membership at £30/month - have a gander at our website to see which will suit you best. The MadFabLab is central Manchester’s only FabLab and is equipped with a huge range of equipment for all your maker’s needs, including a resin and a filament 3D printer, a laser cutter and a vinyl cutter. Call us on 0161 839 6324 to book a time to see the space or email via the website. Hacker? Maker? Small business? Looking for a space to design and prototype your next product? You’ll also get high speed WiFi, extended access (Monday – Thursday until 8.30 pm), and unlimited tea and coffee, plus access to MFL’s bench tools, electronics kit, Ultimaker 3, laser cutter, Form 1+, Ultimaker, bio lab – and more. This is a fantastic opportunity for individuals or small businesses involved in digital making, prototyping, or design. To arrange a viewing or reserve your desk, contact fab@madlab.org.uk or call us on 0161 839 6324.